Available for the first time anywhere, you can now get your very own NTEB long or short-sleeved t-shirt! How exciting is that?? The shirts are super-high quality with the NTEB logo on the front and back. I have worn mine for almost a year, and after dozens and dozens of washings and dryings, they still look great! Here is how you can order yours right now. Black Friday and Cyber Monday are the two biggest shopping days of the year, with deals, deals, deals everywhere you look. So in the midst of all your holiday shopping today, please take a moment and consider spending some of your hard-earned dollars to support our ministry. Here are 3 ways you can do that. 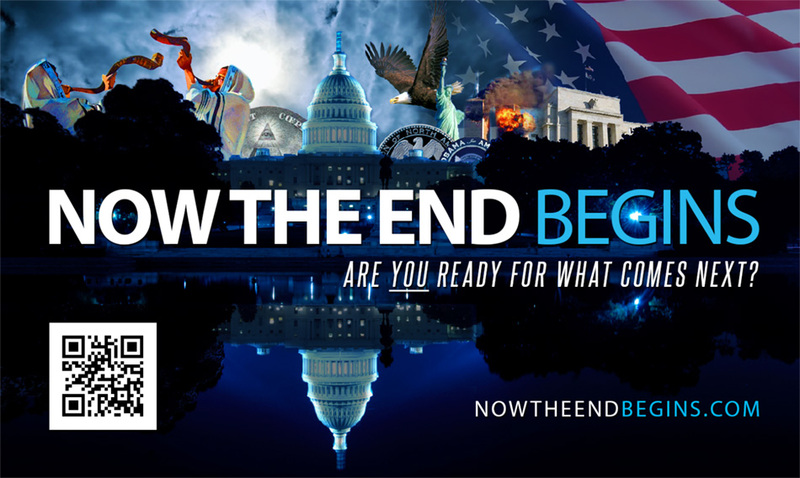 Please prayerfully consider shopping and/or donating to help support the ongoing work of NTEB. 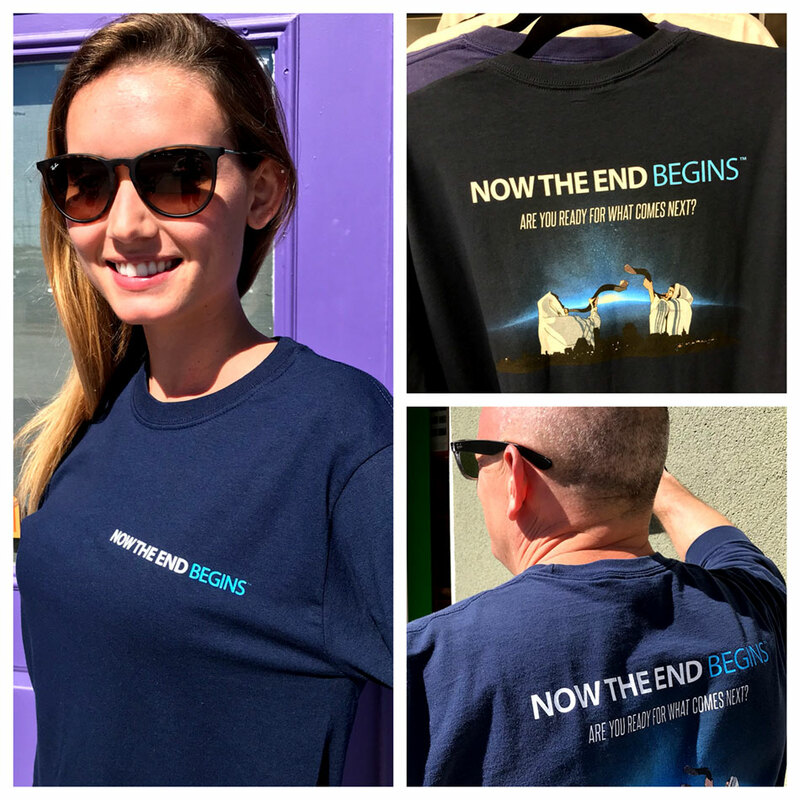 #1): Get Your Very Own Now The End Begins T-Shirt! Available for the first time anywhere, you can now get your very own NTEB long or short-sleeved t-shirt! How exciting is that?? The shirts are super-high quality with the NTEB logo on the front and back. I have worn mine for almost a year, and after dozens and dozens of washings and dryings, they still look great! Here is how you can order yours right now. All shirts are $34,95 plus $7.95 shipping.